While the popularity of artists and styles may change over time, two factors remain constant in the sale of fine art: 1) desirability of the subject matter and 2) quality of the execution. Paintings from international destinations like Hawaii where residences are collecting local works of art to preserve and promote its culture are a trend that is likely to continue. Such idyllic locations attract affluent citizens who in turn invest in the heritage that inspired them to make Hawaii their home. What drew artists to pre war Hawaii are the same factors that draw tourism and residences today. It’s stunning landscapes, seascapes and the peaceful lifestyle. Plein air paintings that capture these elements are particularly sought after today. 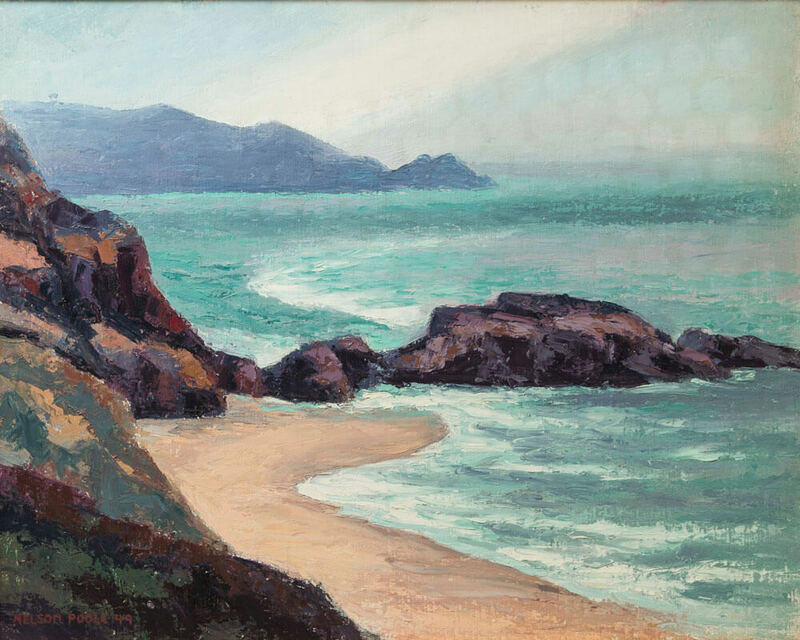 Witherell’s recently sold two paintings by Horatio Poole (1884-1949) on behalf of a Northern California museum. Together they paint a clear picture of the contrast in value between his Hawaiian and non-Hawaiian works of art and emphasizes the significance of subject matter. The American artist Horatio Poole was active in Hawaii from 1914-1921. 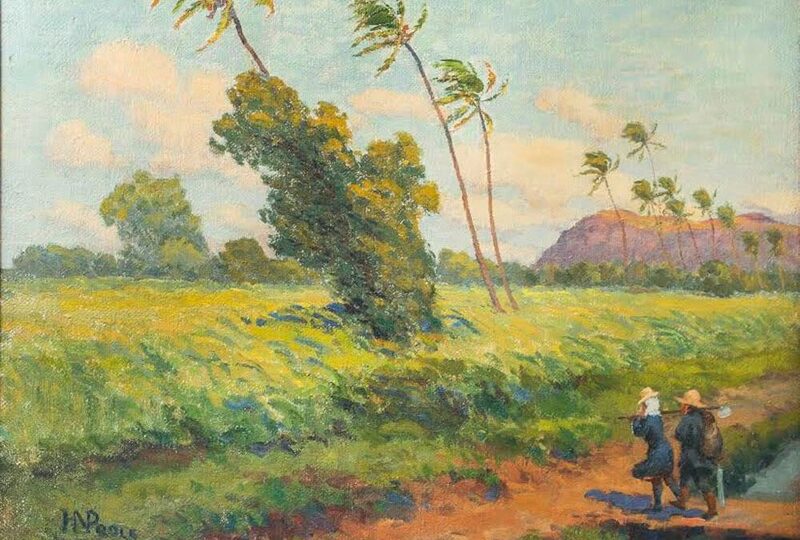 His 1921 Hawaiian landscape of a sugar cane plantation sold for $19,100. The 26 x 32 inch oil on canvas set a new world record for his Hawaiian paintings. In contrast a 20 x 24 inch seascape off the California coast painted in 1941 sold for just $225, nearly 90% less than the Hawaii counterpart. Helen Dranga along with Jules Tavernier, Theodore Whores, and Bessie Wheeler were among the prominent Hawaiian artist during the early 1900s. A study of her sales records indicates the steady, escalating prices for artwork of this golden era of Hawaiian art. A total of eight Dranga paintings are published on askart.com, which have been sold at auction since 2005. Five sold prior to 2013 with an average sale price of $6,343 with only one painting selling above $10,000. By contrast three sold since 2013 with an average sale price of $14,533 and all selling above $10,000. This data clearly indicates a price surge in Hawaiian art based on the popularity of the subject matter. 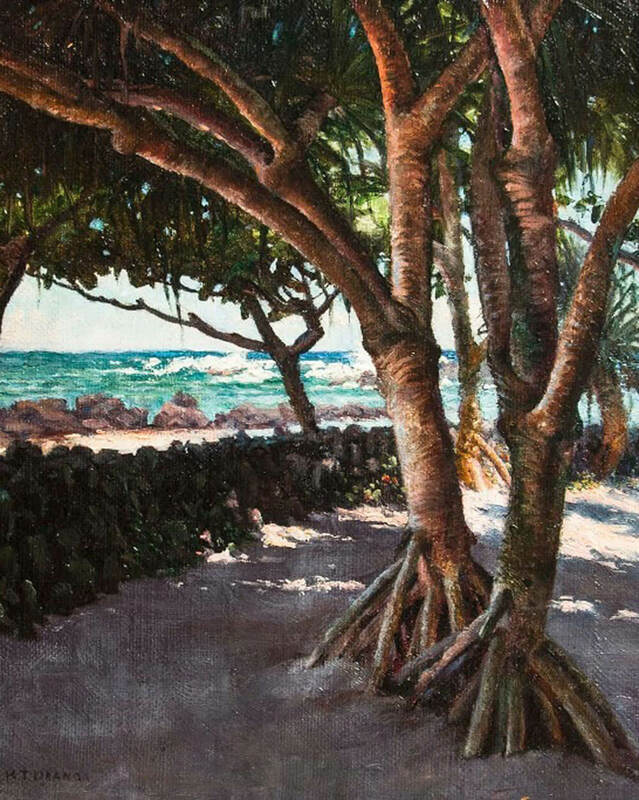 A newly discovered work by Helen Dranga titled, “Beach Near Hilo” is being offered as a private sale through Witherells.com for $15,000. It measures 11 ¾ x 9 ¾ and can be seen at the San Francisco Fall Art and Antiques Show, October 27-30, 2016.